Savile Row makes a very special appearance in Kingsman: The Secret Service, the critically acclaimed new film by Matthew Vaughn, which was released in the UK last week. The inspiration for Kingsman – a tailoring house that acts as a covert command base for a secret society of spies – was the iconic Savile Row tailor and founding Savile Row Bespoke Association member Huntsman. 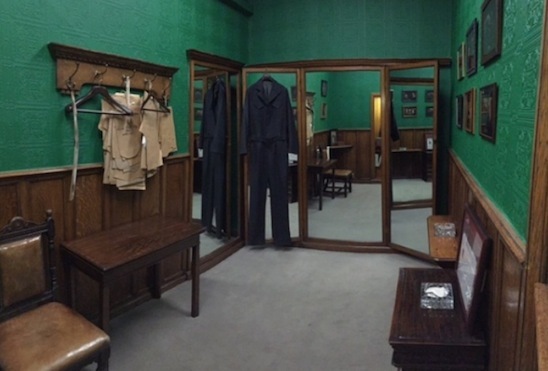 The famous tailor’s splendid interiors at 11 Savile Row can also be seen in numerous scenes in the film. Filming at Huntsman brought back happy memories for Director Vaughn who first visited the Savile Row stalwart as a teenager with his mother to purchase his first suit. Huntsman’s distinct influence on the film also worked to inspire a range of luxury clothing, which is available exclusively through the leading online retailer Mr Porter. 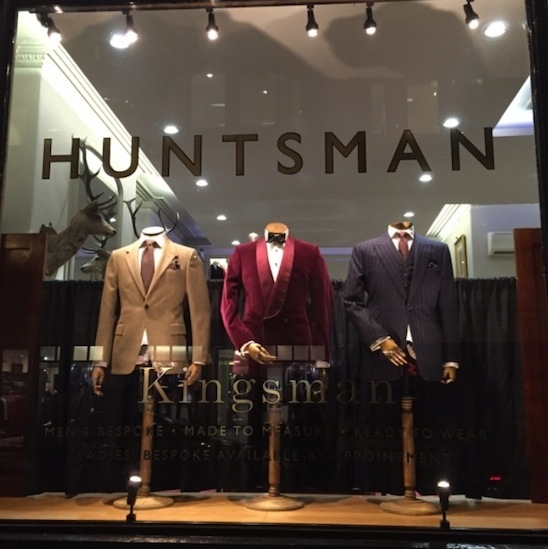 Roubi L’Roubi, Creative Director at Huntsman, said: “We were delighted that Huntsman was the inspiration for the tailors in the Kingsman film and were more than happy to make our shop available for the filming of scenes. "There are a number of similarities between the fictional tailors at Kingsman and their real life counterparts at Huntsman. In particular, both are committed to the highest standards of sartorial elegance and traditional craftsmanship.